New legislation agreed over the summer means that people in France can travel more freely by coach between cities in France. The new ‘Macron Law’ allows operators to offer domestic services on any routes that are over 100km, including journeys that are part of existing international routes. As a result megabus.com has announced the opening of two new bases in France as it continues to expand its growing inter-city coach network in the country. 15 new domestic journey options, delivered from a new operating base in Bordeaux as well as a crew base in Nantes, has created employment for more than 50 staff. Eight locations - Bordeaux, Poitiers, Rennes, Nantes, Le Mans, Tours, Angers and Chatellerault – are being added to the megabus.com network for the first time. All tickets were priced at €1* for travel on the first five days of the new services (18, 19, 20, 21 and 22 November). To support the latest expansion, a €2.7million fleet of 10 new state-of-the-art leased Scania single deck coaches will operate the new services. It means that megabus.com now offers around 40 domestic journey pairings in France, covering 21 locations, with fares from just €1*. The company now operates a fleet of 27 vehicles in France and employs more than 125 staff. By the beginning of 2016, megabus.com expects to have a fleet of 35 vehicles based in France offering more than 50 journey options across the country. Tickets for the new routes are on sale now at www.megabus.com. megabus.com Managing Director Edward Hodgson said: “This is another exciting step in our expansion of domestic coach services in France. Our aim is to open up more affordable travel opportunities for people than they have ever had before and we believe our low-fares and good quality services can deliver that. All services operate using state-of-the-art vehicles with free Wifi, power sockets, air conditioning and a toilet. megabus.com previously announced the opening of a base in Belleville-sur-Saône, north of Lyon, with the creation of 75 jobs. The new operating base near Bordeaux is located in Floirac. 10 vehicles will be parked at the base under a partnership with local company Chalavan & Duc. There will also be a crew base in central Nantes. 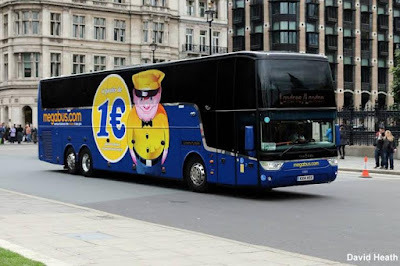 There are now almost 160 destinations on the megabus,com network in Europe, including London, Manchester, Glasgow, Edinburgh, Paris, Amsterdam, Brussels, Lyon, Toulouse, Barcelona, Lille, Luxembourg, Cologne, Frankfurt, Munich, Berlin, Hamburg, Rome, Milan and Naples. megabus.com carries more than 15 million passengers a year across Europe and North America. The number of passengers using the company’s growing coach network in Europe is up more than 330% in the past year. The current average fare on the megabus.com network in mainland Europe is around €10*. megabus.com offers French, Italian, German, English, Spanish and Dutch language websites. Services are popular with families, students and tourists looking to save money on travel and spend extra on entertainment when they arrive at their destination. All megabus.com drivers undertake a detailed operational and customer service training programme. It includes route familiarisation and driving assessments and this is in addition to meeting all of the EU standard qualifications for professional bus, coach and lorry drivers. megabus.com ensures full compliance with relevant EU working time legislation and has stricter maintenance standards than legal requirements as part of its commitment to safety. The success of megabus.com’s services has seen it create more than 500 jobs over the past decade in the UK and Europe and a further 1,000 jobs in North America. 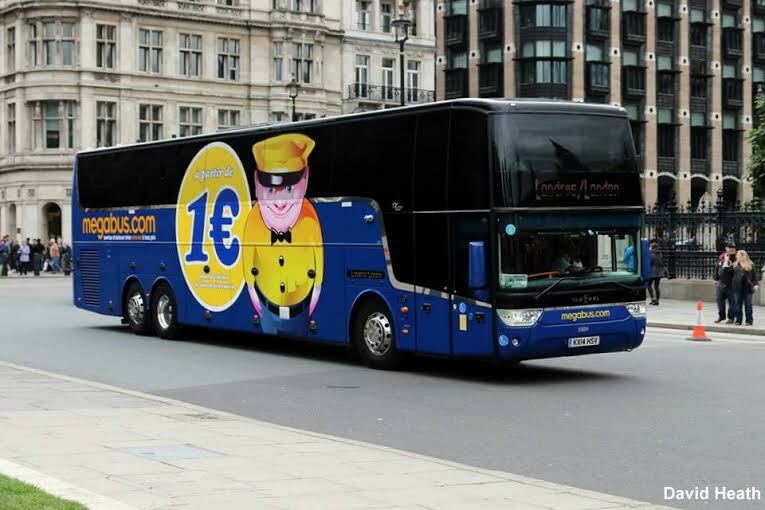 megabus.com plans to keep passengers connected this Christmas by running coach services throughout the festive season across the UK and mainland Europe. The company will run its services during the whole period, helping people travel across the country to enjoy seasonal festivities. megabus.com will again run services on Christmas Day this year, serving 20 locations across England and Wales including London, Milton Keynes, Rugby, Coventry, Birmingham, Leicester, Loughborough, Derby, Sheffield, Manchester, Liverpool, Huddersfield, Leeds, Bradford, York, Cardiff, Newport, Bristol, Swindon and Cwmbran. On all other days throughout Christmas and New Year, including New Year’s Day, megabus.com will operate a near-normal service on most routes across the UK. The company’s 50 services within mainland Europe will also operate throughout the whole Christmas and New Year period. On New Year’s Eve, megabus.com will operate special services departing London after the New Year celebrations which will provide links to Norwich, Sheffield, Newcastle, Glasgow, Edinburgh, Dundee, Bristol, Exeter, Plymouth, Newquay, Redruth, Manchester, Coventry, Birmingham, Cardiff, Swansea, Milton Keynes, Rugby, Leicester, Loughborough, Nottingham, Sheffield, Leeds, Middlesbrough and Sunderland. Cross-channel services between the UK and mainland Europe will also run throughout the festive season, with some timetable alterations to apply on Christmas Eve, Christmas Day and Boxing Day. megabusGold.com overnight sleepercoach services will also continue to run throughout the festive season including Christmas Eve, Christmas Day, New Years' Eve and New Years' Day, although a slightly reduced service will run on those days. All passengers using megabus.com services during the festive period are advised to double check the times of their specific journeys as there may be slight changes to some routes or timetables compared to other times of the year. There are now almost 150 destinations on the megabus,com network in Europe, including London, Manchester, Glasgow, Edinburgh, Paris, Amsterdam, Brussels, Lyon, Toulouse, Barcelona, Lille, Luxembourg, Cologne, Frankfurt, Munich, Berlin, Hamburg, Rome, Milan and Naples. megabus.com carries more than 15 million passengers a year across Europe and North America and offers French, Italian, German, English, Spanish and Dutch language websites.